This is a result of a survey of real estate agents in Malaysia towards Malaysian economy and real estate markets. Most of them are senior agents whose view and opinion should be paid serious attention. Dr.Sopon Pornchokchai, President, Agency for Real Estate Affairs (www.area.co.th) which is the largest real estate information centre in Thailand was invited by the Malaysian Institute of Estate Agents (MIEA) as one of the board members of the ASEAN Real Estate Network Alliance (ARENA) to join the Malaysian Annual Real Estate Convention (MAREC 2018) at the Sime Darby Convention Centre in Kuala Lumpur during March 2 to 3, 2018. During his participation, he conducted a small survey to the participants. There were some 300 participants registering at this big and successful convention. However, 139 questionnaires were answered. This was accounted for 46% of the total number of participants. As observed, these participants were mostly experienced real estate agents who have had over 10 years of experience. Therefore, their opinion should be heard. Dr.Sopon would like to thank the MIEA for this surveying opportunity. However, this survey does not reflect the opinion of the MIEA. 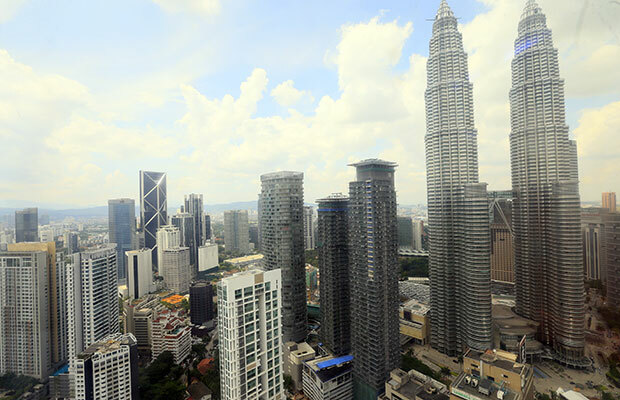 Malaysian Real estate Agents assessed Malaysian economy in 2018 as far as "Moderate" at a mark of 5.2 by 10. In 2019 or next year, it could be a bit better to 5.8. As a whole, Malaysian economy is not yet booming; however, it was not too bad. Considering the low standard deviation, these findings were somehow reliable. It should be mentioned that the expected betterment in the economy next year was not so significant. The 2018 Real Estate markets was assessed at 5.0 by 10 or moderate by real estate agents in Malaysia. However, it was expected to grow to 5.7 in 2019 which was still considered moderate to some extent. The findings should be reliable because the standard deviation is small in figure. This might be because of the fact that Malaysian economy was not yet booming in the near future. Which sectors of real estate are among the best in 2018, was a question for real estate Malaysian agents. They could put three rank, namely, first, second and third. We weighed the first to 120%, the second to 110% and the third to 100% It was found that the sector of residential came to the first in the priority at 35% In addition, there were another 25 for affordable housing and 2% for low-rise residence, totally at 39%. Commercial properties were accounted for 23% The detailed results showed above. Likewise, it was found that 'iproperty' was the most favorable or most effective portal among real estate agents at 36% 'iproperty' was very effective in their website, TV, exhibition, real estate awards and the like. the 'property guru' from Singapore was the second in the priority at 26% The 'mudah' was the third at 15% and propwall was the fourth at 11%. These four were really salient in Malaysia. Eco World was voted at the first in the priority at 27% Eco World was a Malaysian listed companies which would have real estate projects in other parts of the world too. They developed new townships, integrated commercial developments, luxury high-rise apartments and green business parks. It had approximately 8,126.4 acres of landbank (3,289 ha) with a total gross development value (GDV) of RM87.5 billion (USD 22.36 billion) (https://goo.gl/nLsRXm). In addition, SP Setia, Mah Sing Group as well as Sime darby were among gigantic developers in Malaysia. Australia were among the first in the priority at 28% Perhaps, it was a westernized and high developed country located nearest to Malaysia. United Kingdom particularly London was the second in the priority at 19% It should be a place for secure investment. Singapore was the third at 15% and Thailand was 12%. Most of the brokers targeted at western and European countries. In sum, real estate agents viewed the markets to be very moderate at this moment and even next year with a slight betterment. The residential sector seemed to be the best in Malaysian real estate sector followed by commercial developments. The iproperty was voted to be the best at 36% followed by property guru (26%) and mudah (15%) Whereas, best performing developers were the Eco World (27%) followed by SP Setia (19%) and Mah Sing Group (14%). Most of the agents viewed western countries particularly Australia, United Kingdom and Europe as the targets for investment. At this moment, Malaysians are waiting for the coming election which might be a structural change for Malaysia where the existing leaders were ousted out. If there are some big changes in politics which would be a great sign of new promises, the economy and real estate would be recovered and going up quickly and substantially. Nowadays, the situation is still blurred. Therefore, the opinion of the people is not so positive. Eventually, Dr.Sopon would like to thank the MIEA for an opportunity to this survey which should be a piece of good information to the industry at large. However, the opinions in this surveys here do not necessarily reflect those of the MIEA.